I have a love-hate relationship with poetry. I am most certainly not alone in this—in fact, any number of English undergrads will cheerfully cop to a hate-hate relationship. But even those who profess to love poetry have their preferences when it comes to style, subject and tone. Like any relationship, it’s complicated. 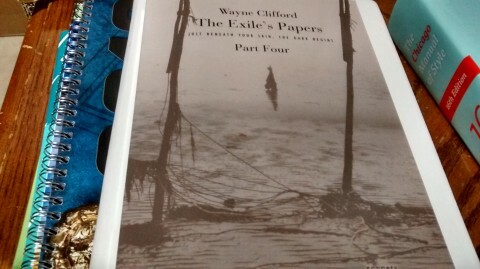 The Exile’s Papers: Part 4 is just such a book. The titular exile adopts the role of skeptic, questioning the foundations of civilization—from religion to science to history—and ponders whether poets can ever hope to convey truth and beauty. 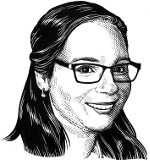 It is a bitterly honest and very intense rumination on life and memory and love … with, perhaps, a glimmer of hope at the end. 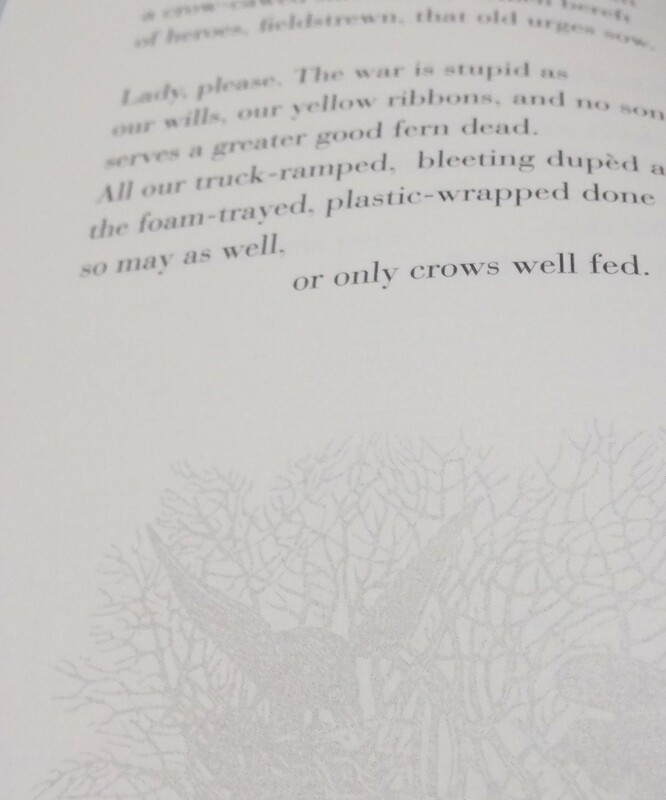 It took me several days to ingest the rather stout (for a poetry book) collection. It took me several more to arrive at any form of understanding about the book and what I thought it meant. More still to articulate that understanding into any semblance of coherent thought. But in the end, I think the fact that I had to slow down and really think about each poem made me enjoy it all the more. It is a contemplative masterpiece, to be sure, and one well worth the reading. It feels like an accomplishment to have digested the work, and I feel like I learned something, felt something new—and what more could you ask of poetry? for fever’s sake, our tale the turning missed! I wonder if I’ve ever been in love. this kitchen window, scrubbing tines of forks. The melted cheese. The laughter wine behooves. Except for once, a doe. of apple core rephrases all this now. sidles down to hiss its kisses on the ground. As I book lover, I have certain rules. The no dog earing and no spine cracking rules are, of course, at the very top of the list. No highlighting either, though I could be persuaded to allow some pencil annotations, but only if there are no Post-Its hanging around. Those are the rules, and they are pretty much unbreakable. Must more difficult to achieve is one of my own personal preference when it comes to series. I can buy, read and enjoy the first in a series without issue. If I choose not to read on, I am quite happy to put the book on my bookshelf for future rereads. But once I’ve purchased books two, I’ve committed myself to collect them all. 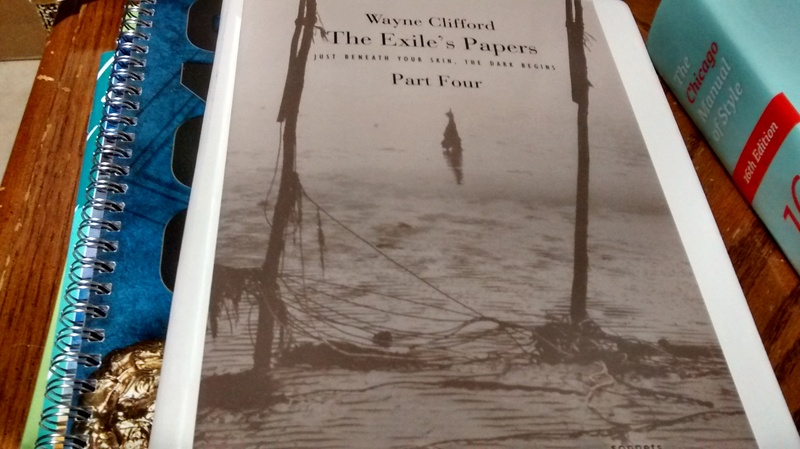 I suspect I am not alone in this little collectors’ quirk, so I feel it is my duty to inform you that The Exile’s Papers is in fact a four-book set. Part 1, The Duplicity of Autobiography, introduces the tellers and the tales, setting out a context for the narrator’s exile and musing on the core truth of narrative: that every author lies. Part 2, The Face As Its Thousand Ships, is a multilayered exploration relationships and how they come to affect and define the self. Part 3, The Dirt’s Passion Is Flesh Sorrow, delves into the relationship between love, sin and life, striking back at those who are responsible for the destruction of personal myth and who have dealt out disappointments. Part 4, Just Beneath Your Skin the Dark Begins, presents a fitting end to the series, positing the notion that human life cannot be explained or saved, yet offering a glimmer of hope in finding truth, after all, in the familiarity of the exile’s struggles. All four books are available for purchase in print through Abe Books. The latest two are also available as affordably priced digital downloads from our ebook store. I encourage all poetry lovers to pick up a copy of this wonderful set! You’ll be surprised to see how many ways Wayne Clifford can reimagine the sonnet form. Plus, I promise you’ll finish reading feeling like you know and feel more than you ever thought possible. This entry was posted in Letters from the Porcupette (the Intern's Blog) and tagged poetry, Series, The Exile's Papers, Wayne Clifford. Bookmark the permalink.